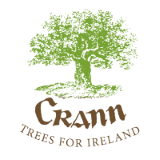 In April 1997 the Crann Hedgerow Project was initiated with the aim of raising awareness of the value of hedgerows to farmers, to the landscape, for nature conservation and as a repository for many of the countries broadleaf trees. Current Hedge work by the new Hedge Laying Association of Ireland, organised by Neil Foulkes, formerly a Crann executive board member. As part of their Heritage Plans, in 2004 Westmeath and Roscommon County Councils commissioned county wide Hedgerow Surveys. The objectives of the surveys were to assess the extent, species composition, construction, structure and management of hedgerows in sample 1 km squares around the county. Further surveys were carried out in 2005 in Counties Laois, Offaly and East Galway. These surveys are building a picture of the regional variety in Irish hedgerows (Offaly (32%) and Laois (45%) have a high percentage of species rich hedges) and also highlighting common issues which are potential threats to the resource (a sizeable proportion of hedges in all counties contain significant gaps and lack the dense base structure that is important for wildlife. The reports produced include recommendations for various stakeholders. Repeating the surveys in a few years time will enable trends to be assessed. All of the surveys were carried out to a standard methodology and full details of the results of the studies for each county can be obtained through the Heritage Office of the relevant County Council. As part of the (now defunct or inert) Networks for Nature project, initiated by Crann and the Irish Wildlife Trust, a certified training programme was developed by Teagasc for the operators of tractor-mounted hedge cutting machinery. This programme includes health and safety, machine maintenance and environmental best practice. It is being run, on demand, at all of the Teagasc training colleges. Crann continues to work closely with the HLAI and in 2008 and 2009 have assisted each other by hosting stands at events throughout the country. At these events we answer queries and help promote the aims of both organisations. We look forward to continuing to work together and sharing resources. An educational/training visit to the British National Hedge-laying Championship. Hedgerow seminar in conjunction with IWT, Teagasc and Birdwatch Ireland. hedgerow awareness events featuring demonstrations and training from top British hedgelayers. Wildlife (Amendment) Act, 2000 Section 46 of the Act updates Section 40 of the 1976 Act to provide an increased protection period for hedgerows. It reads: “It shall be an offence for a person to cut, grub, burn or otherwise destroy, during the period beginning on the 1st day of March and ending on the 31st day of August in any year, any vegetation growing on any land not then cultivated”. “It shall be an offence for a person to cut, grub, burn or otherwise destroy any vegetation growing in any hedge or ditch during the period mentioned [above]”. Exceptions still subsist. If you witness any hedge-cutting (especially mechanical) after the deadline of March 1st, please report it to your local County Council Environmental Awareness Officer. Hedges are being lost through neglect, ageing and active removal. The declining state of our hedgerow network reflects current agricultural practices and an agricultural labour force that no longer exists. We don’t have the resources all hedges any more, and many internal boundaries are not managed because they are not accessible to modern hedge cutting machinery. In the absence of rejuvenative management, many hedges simply die of old age. Many hedges are cut too hard, too often and in the wrong season, Hedge removal is still going on for agricultural reasons and for development purposes, both building and road widening. Hedgerows are an important part of our cultural landscape, and a majority of tourists find them the most appealing part of the countryside. The traditional patchwork-quilt pattern of fields and hedgerows is often regarded as ancient but in fact dates only from the Enclosure Acts of the 19th century. Before then, most of the land was unenclosed commonage. Our oldest hedges mark townland boundaries and are about 200 years old, unlike Britain where hedgerows of 400 years or more exist. Hedgerows are corridors which aid the movement and dispersal of plants and animals thorough the landscape. They are an essential component of our woodland systems, providing the vital passages that link up Ireland’s small, scattered woodland patches. It is estimated that hedgerows cover about 1.5% of the land, almost three times the land cover of native woodlands. They are one of the few gene pools remaining of mixed native species. The protection and maintenance of hedgerows as important landscape features for wild native flora and fauna is required under the EU Habitats Directive. Hedgerow management & nature conservation ( ISBN 0 86266 037 8) Ed. Watt & Buckley. Wye College Press (1994). Research papers on all aspects of hedgerows. Excellent book. Brooks A. Published by BTCV (1975 -revised 2000). Probably the best. All-round book on hedges, planting, laying & conservation. New hedges for the countryside (ISBN 0 85236 242 0) Maclean Murray. Published by Farming Press books (1992). Excellent on the subject of planting new hedges. Greaves, Valerie. Published by National Hedge-laying Society (UK). Explains the craft of hedge-laying with info on regional styles. Evans, Justin. IOFGA Concise leaflet. Good advice on planting & maintenance. Limited info on rejuvenation. O’Ceirin, Cyril and Kit. O’Brien Press (1980). Recipes on hedgerow shrubs and plants. Folklore. Streeter & Richardson. Published by BBC (1982). Lots of info on plants and wildlife, beautiful illustrations and photos. Dept of Agriculture, Food and Rural Development (27th November 2000). Outlines the details and requirements of the Rural Environment Protection Schemes. Measure 5 deals with farm and field boundaries. An Taisce. Pan-european booklet outlining the vital role played by hedges and non-forest trees in the environment. Clements & Tofts. Countryside Planning & Management (1992). A methodology for the ecological survey, evaluation & grading of hedgerows. Ed. By Barr & Petit. IALE (UK) 2001 Conference proceedings. Research papers from around the world – except Ireland!